Hey all! I'm here with a new challenge for you -- the In Shape Challenge. 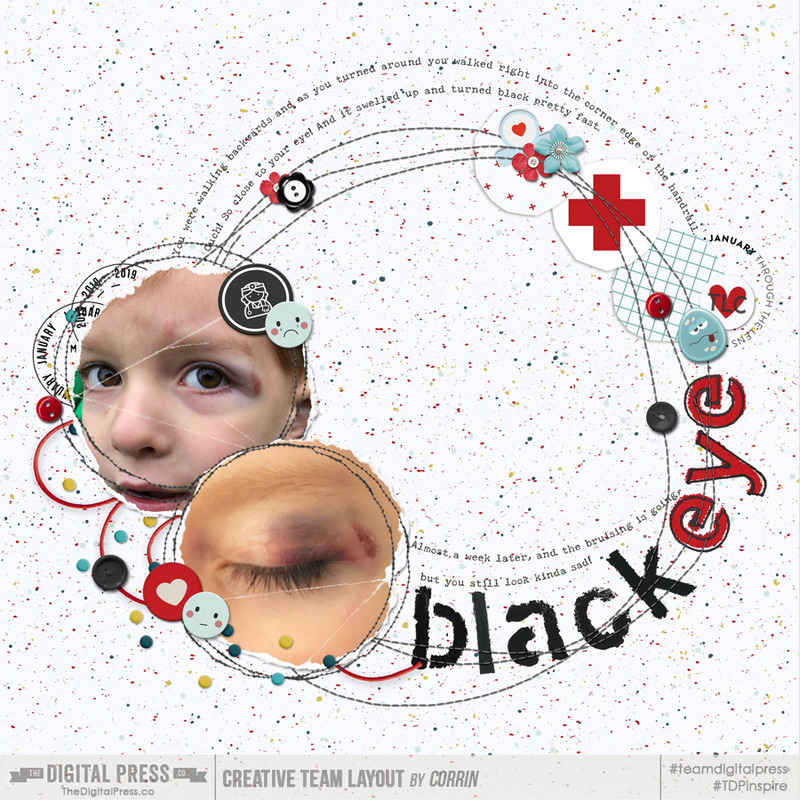 For this challenge you are required to create a layout or project that uses only one shape for all items that are included. 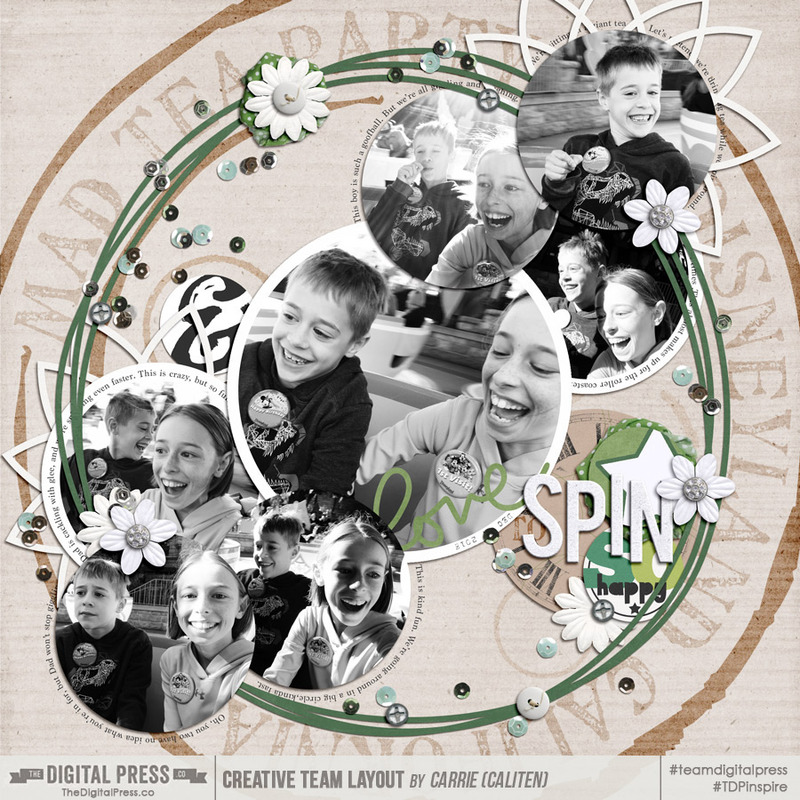 For instance if a circle is chosen, then all photo spots need to be circles -- all paper pieces should be circles -- all word art pieces should be circles -- journaling should be in a circle shape -- embellishments should be (generally) circular in shape (such as flowers, or buttons, etc.). And so on... and so on. So... let's do a quick review of the rules, and then you can get started on this challenge! Your creation must be a new project (digital or hybrid) that uses only one shape for all items that are included. You must use 100% TDP products, and your layout or project must be loaded into the gallery no later than 11:59 pm ET on January 31, 2019. Once you've posted your project here in this thread ... copy the URL to that post and add it to the JANUARY 2019 TRACKING THREAD. Last edited by caliten; 01-09-2019, 09:04 PM. Carrie, those photos are perfect for circles! So glad that's the shape you chose ... I have something in mind with a technique that I love to use using digital sun flairs. Thanks Kat. I struggled a bit with the photos .... they were taken on the ride while we were going in and out of bright sunlight, so some were kind of washed out and others were a bit dark, but Hillary suggested black and white and it really helped to unify them. Last edited by corrin; 01-13-2019, 05:27 PM. Oh my goodness! I hope he's okay! And I love your page!! Oh this is such a cool challenge - I've never done anything like it! Here's my page! 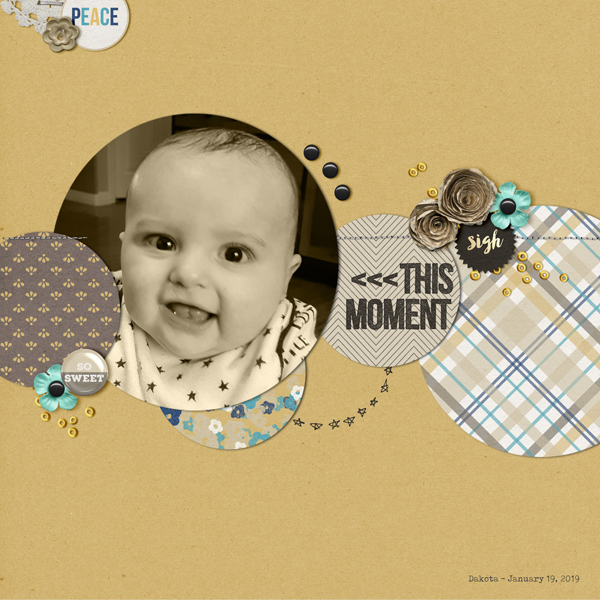 I obviously chose circles too, just since normally I scrap squares or rectangles! Perfect! Loving all the layering too! circles are a nice change form the usual aren't they! 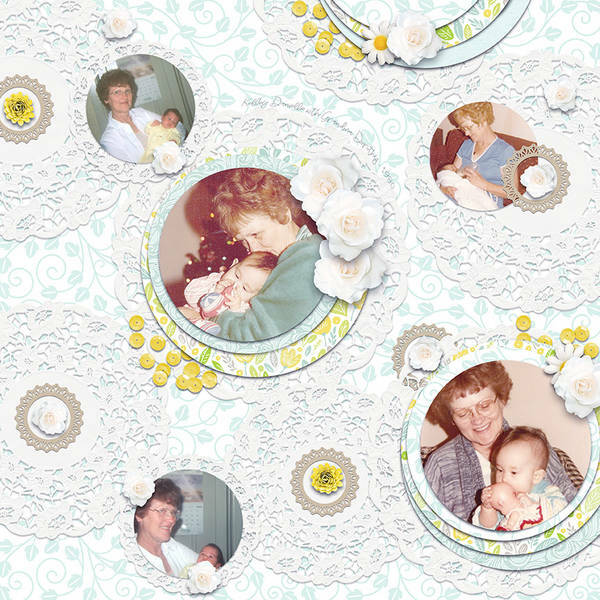 I love your page, and the lace with vintage photos - perfect! That is a cool idea and inspiration! And a great photo too! Here is mine. I wanted to try and do a different shape than a circle to mix things up a bit but after an hour of stuggle I switched to circles too. Circles work! And what a cutie! I am not a big fan of round pictures on a layout. But with the pictures I used, circles were the right choice. These are pictures of me at about 7 months old.